Today more than ever we are fighting technology, especially with our kids. Pushing books down their throats is not ideal, but unfortunately we are living in new times with new battles. So when a character like Captain Underpants enters your world with characters like Professor PoopyPants, it is hard to not love this series and wild superhero. The film is a surprising gem with the biggest laughs and it has the biggest heart. 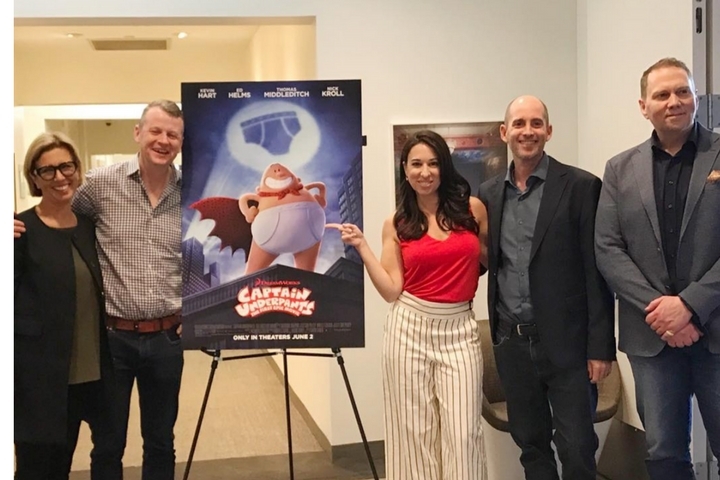 Parents you too will be hysterical….take a sneak peek at our Captain Underpants Mamarazzi event with the filmakers.